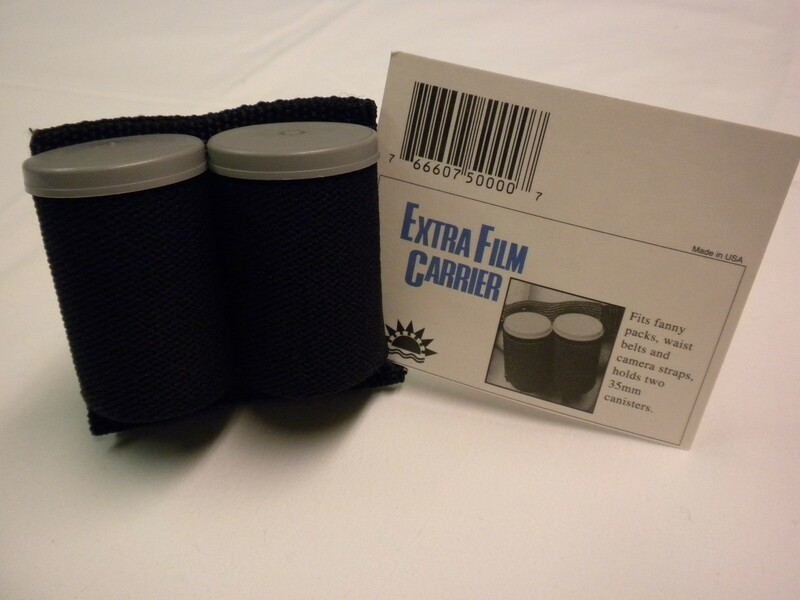 Choose the two or four canister carrier, and you'll have that extra film right at your fingertips. Slips over waist belt, fanny pack or camera strap up to two inches wide. Designed for 35mm film canisters. Elastic loops hold canisters firmly in place.